It is true that it is not easy to care for a person with Alzheimer’s disease. One of the struggles of most families and friends is finding the right way to show care and support to their patient. If you are struggling with the same battle everyday, know that you are not alone. There are still other people out there who faced the same battle as yours. You may begin by understanding deeply what your patient is going through so you can easily cope up with your daily challenges, and help your loved one go about the changes taking place. Dealing with a person with Alzheimer’s disease is surely tough, especially when it comes to keeping the person safe at home. 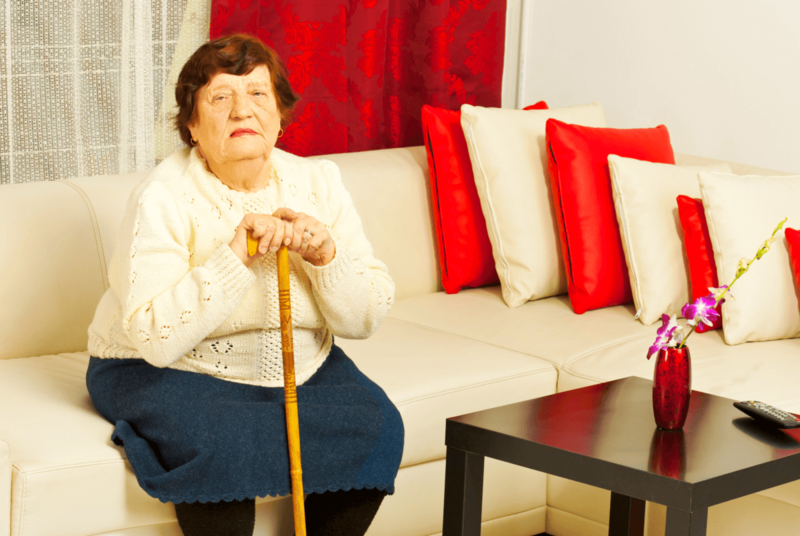 You may notice over time that your loved one has become less able to manage the things around the house, making him more prone to accidents and injuries. In order not to compromise his safety, you can take on some responsibilities. When caring for a loved one with Alzheimer’s disease, you must accept the fact that a lot of changes will begin to take place, including your arrangements at home. For your loved one’s safety, start arranging your furniture in a way that is easy for your loved one to move around. As much as possible, keep everything minimal and simple. Too much stuff can lead to confusion. It is time to get rid of all piles of magazines and newspapers or anything that would cause clutter to keep your loved one free from accidents and injuries at home. If the entire family is having a hard time adjusting to everything that is taking place around the house, it is best if you gather everyone around and discuss the matter together, so all together you can find solutions to the issues and struggles at hand. Further, all together you can decide on how to make all areas clutter-free for the welfare and well-being of the patient with Alzheimer’s. Since patients with Alzheimer’s disease can have problems with balance, you can consider putting up some safety grips for the patient to hold. Make sure you choose one that is sturdy enough for your patient to handle to prevent slips and falls. Before you install one, it is best if you consult a mechanic or handyman first to help you decide on which safety grip is best to install and to know what the considerations are when installing them. Be on the lookout for slippery floors that may cause slips and falls. Areas like the bathroom and kitchen are likely to have liquid spills, so before your loved enter these areas, check the floors first and wipe out any spills right away. You can also assist the patient when walking pass through these areas to provide maximum protection from injuries and accidents. While understanding the condition of the disease deeply, you would find that during the late stage of the disease, patients with Alzheimer’s will have a hard time reading. The gradual loss of their ability to read may put the patient at risk for accidents or injuries. The best thing families can do is to write simple written instructions for the patients to keep them reminded of the possible danger that is ahead. You can post these signs in areas where danger is more likely to happen. Adding extra lights to some areas in the house really helps a lot. Over time, patients with Alzheimer’s may have a hard time seeing things clearly. Because of this, you have to make sure that the areas between bathrooms and rooms or hallways are well-lit at night. You can also guide the patient in walking pass through these areas to reduce the risk of accidents. Due to the fact that Alzheimer’s patients may have difficulties in differencing between hot and cold, we should all keep watch of the water temperature they are going to use for bathing, as well as the temperature of the food prepared. We know that all of these things can be too overwhelming for you to handle, so we suggest that you hire caregivers from OptimumCare Home Care Services. Our Non-Medical Home Care in VA provides various services for your loved one’s needs, and we also have competent, highly-trained caregivers to keep watch of your patient’s health condition always. To check out the various services offered by our Non-Medical Home Care in Opitz Boulevard Woodbridge VA, just call 703-490-8003. This entry was posted in Non-medical home care and tagged Non-medical home care, non-medical home care in Greensboro Drive McLean VA, non-medical home care in Opitz Boulevard Woodbridge VA. Bookmark the permalink.